Quality is Everything to make American Fries conquers the world. Always Delicious is the standard of American Fries. More Choice, More Flavors, More Recipes, a wide range of different cuts of your choice. 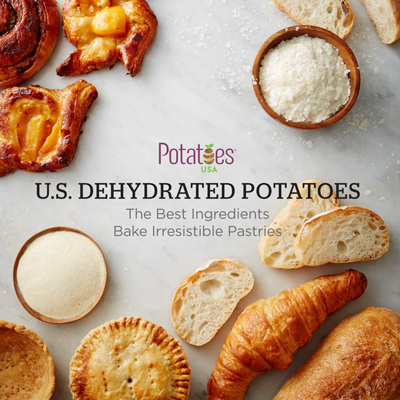 This edition of cook book will guide you of how to enhance the taste of your pastries to the maximum by using U.S. Dehydated Potatoes, the best secret ingredients for bakery. 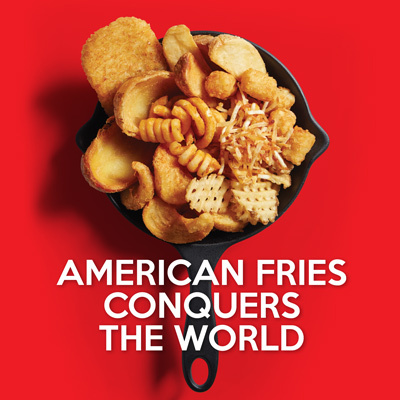 AMERICAN FRIES, A Medley of Textures and Tastes. 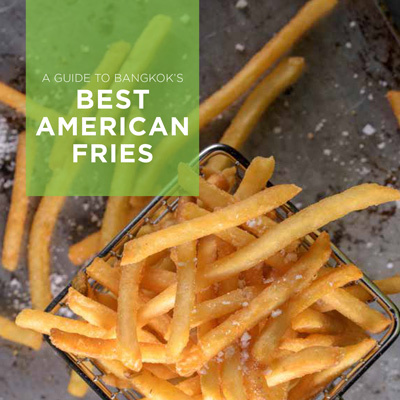 This book will guide you with 14 fascinated American Fries recipes from 14 selected restaurants and cafe' around Bangkok. The Highest Quality Premium Potatoes, Always Delicious. 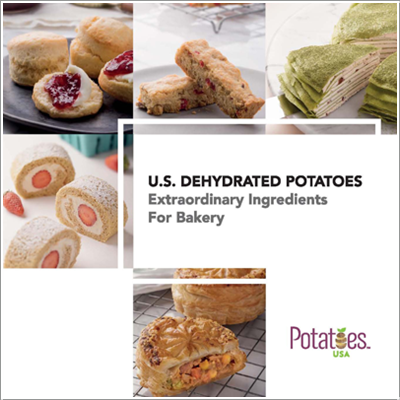 Explore the secret to enhance your bakery’s quality and taste with U.S. Dehydrated Potatoes the extraordinary ingredient that will grant you a lower cost of production with higher yield. 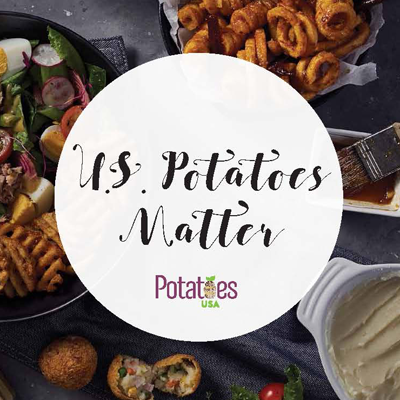 More than side dish, in this cook book you will explore ways to apply U.S. Mashed Potatoes and U.S. 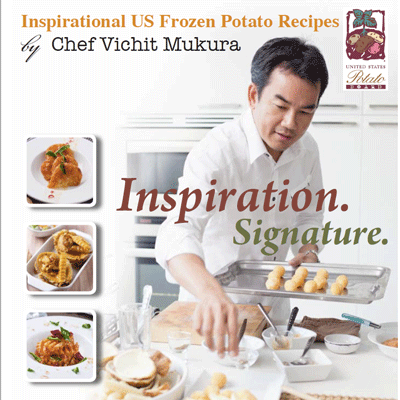 Frozen Potatoes into variety creative dishes that will enhance your business a chance for more success. 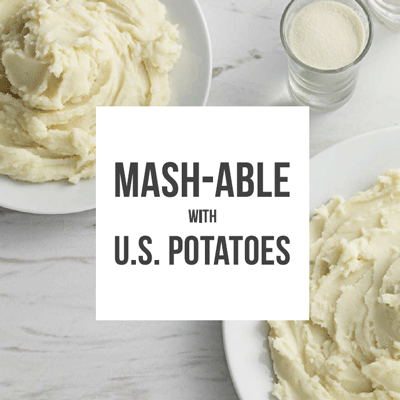 A cook book of inspiration to create your own mash-able potatoes recipe. 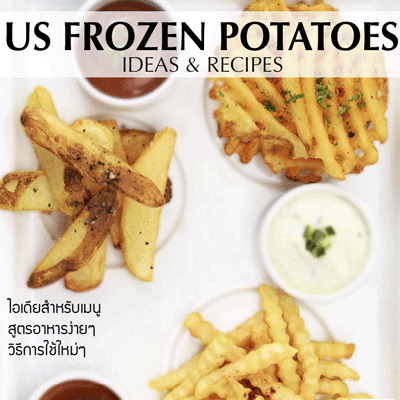 In this book edition, you will discover 30 U.S. mashed potatoes menus of yourchoice such as U.S. mashed potatoes green curry, U.S. mashed potatoes ruby of beetroot, Tom Kha mushroom cream soup and etc. 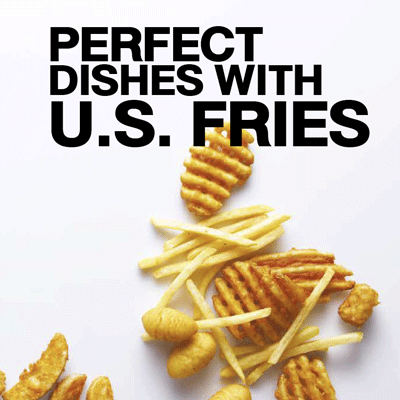 Discover 12 creative menus using U.S. Fries as the main ingredient in our 2015 cook book such as U.S. Potato Shoestrings Poutine with Sliced Beef and Gravy, U.S. Potato Hash Browns Smoked Salmon Benedict and many more. U.S. 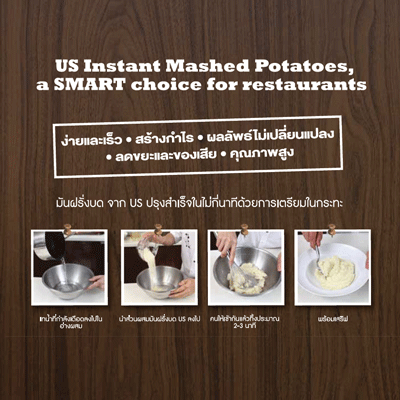 Instant Mashed Potatoes, SMART Choice for Restaurants. 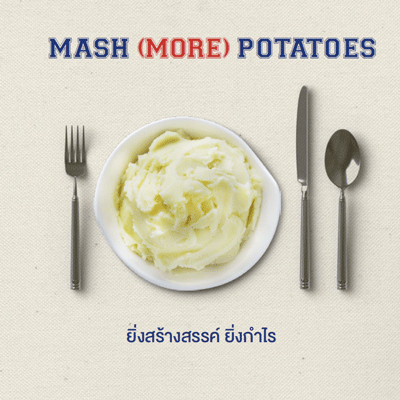 Discover 12 decious and simple menus of US Instant Mashed Pototoes. This edition of cook book contained 23 US Potatoes Signature Dish. 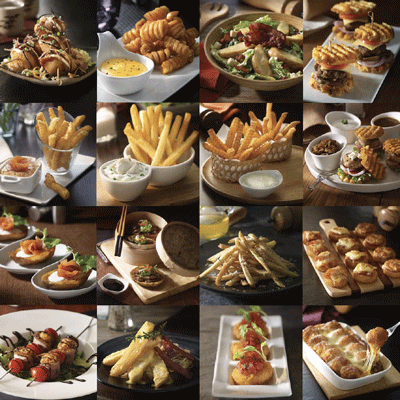 The idea of how to apply US Fries with wide variety of menus which we believe they are great for your restaurant. Simple Delicious with US Frozen Potatoes. This edition of cook book contained many interest US Frozen Potatoes menus which are Simple and Delicious as well as the proper frying instruction of US Frozen Potatoes. 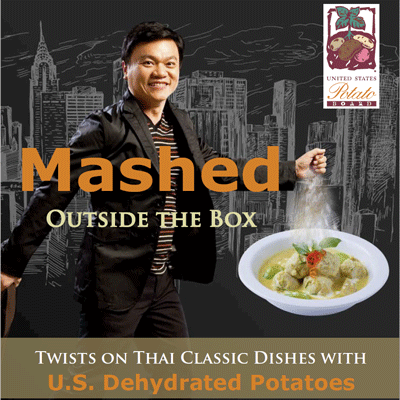 Bringing US Frozen Potatoes and adapting them into Thai cuisine and Thai dishes is a very innovative idea for Chef Vichit Mukura, the Executive Thai Chef of the Mandarin Oriental Bangkok for over 25 years. He found US Frozen Potatoes refreshing and challenging to think out of the box and bring new ingredients and products to an age-old tradition cuisine.